2. [+329, -26] She needs to admit to this..
11. [+113, -7] 'Red Shoes' has a plagiarism controversy too, why isn't that in the media? 14. [+91, -8] If this is true, such a disappointment..
1. 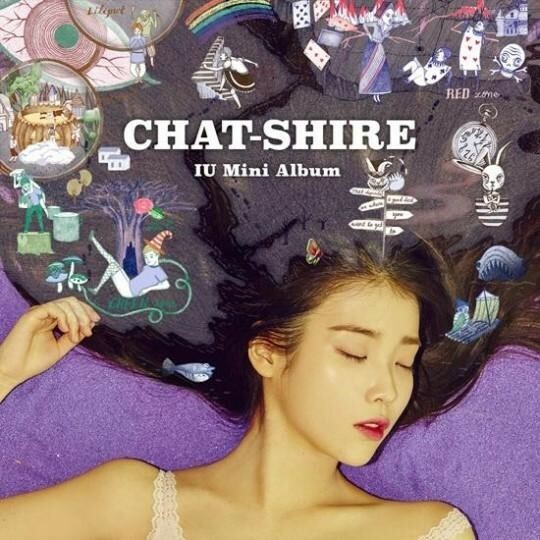 [+369, -44] If this is confirmed to be plagiarized, IU's over. Loen has to block this as hard as they can. You can tell with what happened with Park Jin Young and Primary that it'll never be confirmed as plagiarism. 1. [+287, -18] Britney's song was just cut up and pasted in. 3. [+221, -12] You really can't make excuses for this..
4. [+43, -2] I wonder just until when people will be so forgiving towards you, hmm? 5. [+31, -2] Are we going to hear an homage excuse again..
1. [+395, -76] ?? She promoted her album saying she composed and wrote everything on it but now that this controversy arises, she claims she didn't compose it? Then why didn't she say that from the start, that she just participated in the production of the album. An artist? As if she's an artist. She didn't know? The source wasn't clear? Then isn't it logic that you don't use something you don't know where it's from? Did they go ahead and use it thinking no one would find it? Did she not listen to the song and realize something was off about it? Was she so sure that the public wouldn't catch it? Isn't the excuse that you "didn't know" so overdone? 3. [+281, -38] She put out so many articles saying she wrote and composed the entire album... so why's she saying now that there's another composer?